Dental professionals recommend that all babies first start seeing a dentist when their teeth begin to erupt. 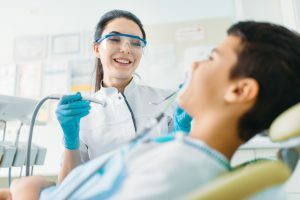 Unfortunately, many parents bring their children to general dentists who may not necessarily be equipped to handle the comprehensive nature of working with kids. 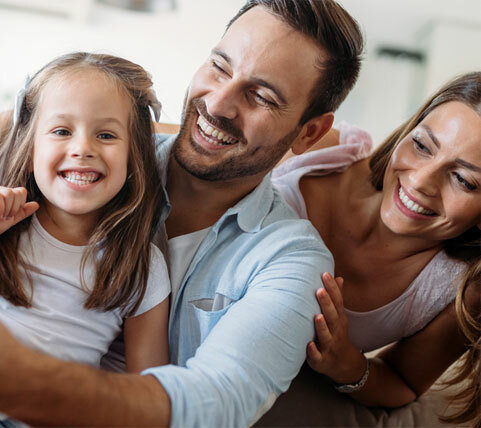 For this reason, pediatric dentistry is a wonderful choice for your family and can get kids comfortable with seeing a dentist. This makes it easier and less frustrating to get your child to go to their dental appointments. Pediatric dentistry is the specialized field of dental work that involves babies, toddlers, children and teens. Babies should first start seeing a pediatric dentist when their first tooth erupts and can continue seeing them all throughout their teen years. Pediatric dentists are specially trained to work with kids, providing them with a calm and relaxed experience while they’re having work done in the office. Kids are often afraid to go to the dentist because of the unknown. It can be scary going into a stark, cold office to have dental work done. Because of this, pediatric dental offices are completely geared towards kids and create a calm, kid-friendly environment that they’ll actually enjoy going into. Plus, pediatric dentists use medical terminology that isn’t scary and is easy for kids to understand. If you want your child to begin seeing a pediatric dentist, contact us today! © 2019 Dr. Dulay & Associates PA – All Rights Reserved.